Before anything, I'm sure that many reading this article don't really know what GDC is. GDC stands for "Game Developers Conference", and it's the biggest industry wide event for game developers. 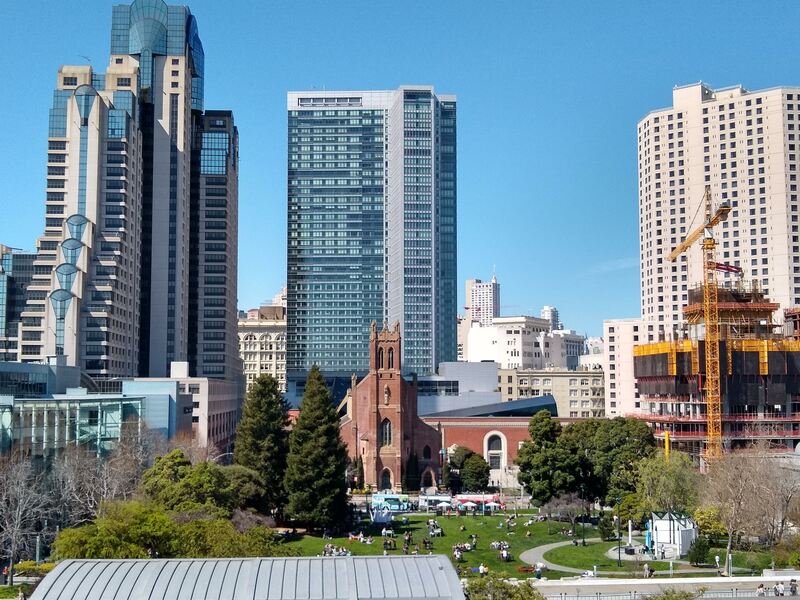 Almost 100k developers (companies and indies) meet in San Francisco every year in March to showcase their work, make business meetings, socialize, have fun, etc. This event is not mainly about showcasing games, like E3 or Gamescom, but entirely for developers themselves. There are also talks about technology, production or any other aspect one can think about related to game development. It's a very big event and you get overwhelmed easily by so much going on at the same time. This is the second year I go to GDC exclusively as Godot representative (before I went as business consultant and, before then, I went representing my own company which no longer exists). This time, Rémi Verschelde (Akien) and Hein Pieter van Braam (tmm) also came, with Ernest Lee (iFire) and Ariel Manzur (punto) occasionally tagging along. Unlike last year, we decided to focus on meetings more relevant to the project goals and reduced the meetings with companies using or interested in Godot to a minimum. Most of our meetings were with hardware manufacturers, service providers, potential sponsors and education institutions. We also got the chance to meet with key industry people like Nicolas Cannasse, Terry Cavanagh, Ryan Gordon, Lars Doucet, Alon Zakai, and many others. So far, we can feel there is a growing excitement about Godot in the industry as more and more developers and companies learn about it and try it, with many games in development and about to be published on desktop, mobile and consoles. Godot is growing at a lightening rate, more than duplicating it's user base every year. Many companies we met also expressed high interest in dumping their current engine and going for Godot, due to the freedom that open source conveys and the high quality and usability of the engine (their words, not mine :P). But what I'm sure most reading are willing to know is how much recognition did Godot get at the event. The sad truth is that, even after two years of being open source... NO ONE KNOWS ABOUT GODOT! Compared to last year, some more people had heard of Godot, but it's still very largely unknown. We seriously need to consider ways to improve on this. I would probably say most of the industry still has not heard about it, but there is a very significant chunk that did, though. From everyone we talked to, it seems at this point a majority of the industry has heard of Godot. Most of those we casually talked to definitely had heard of it and many expressed interest in developing games with it in the future. From the indie side, most Indies did hear about it, but for company executives Godot remains largely unknown. This, however, seems to be changing because the amount of Godot users within big companies is growing significantly and pushing for it from the inside. Thanks to this, we surprisingly got a lot of endorsement from developers in large companies, which also is helping us become a more visible and believable option. As an interesting anecdote, we printed around 800 beautiful metallic pins and distributed them at booths of companies or developers who use or sponsor Godot. At the second day, they had all ran out. They told us people passing by loved them and asked if they had anything to do with it. I'm excited about how next year will be for Godot. Growth seems fast and steady, so this makes up happy to know we can continue focusing on doing what we do best, improving Godot. That said, please understand that Godot core development happens thanks to the generosity of our patrons. If you are not yet, please consider becoming one and supporting the project. It takes minutes to set up a recurring donation and any amount is vitally welcome, as it allows more of our most dedicated core contributors to focus solely on Godot. The more donations, the safer the project is and the faster it can mature and grow.